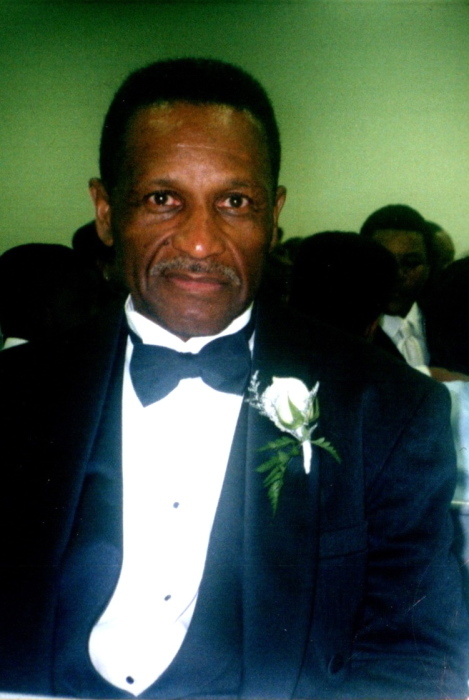 Obituary for Mr. C. Eugene Hubbard | C. C. Carter Funeral Home, Inc.
Mr. C. Eugene Hubbard father of Mrs. Cynthia Wooten and Mr. Christopher Hubbard transitioned peacefully Tuesday, January 22, 2019 at Sentara CarePlex Hampton, VA.
Ceola Eugene Hubbard was born in Kingsland, Georgia to the late Vivian Mae Hubbard and Arthur Hubbard. He was the eldest of thirteen children. Eugene was educated in the public schools in Saint Marys, Georgia. After high school, he attended and graduated from Savannah State College, Savannah, Georgia, majoring in Chemistry and Mathematics. He furthered his education, receiving a Master of Operations Research from George Washington University and a Master of Business/ Public Administration from Southeastern University. Eugene accepted Jesus Christ at an early age. He was baptized at Young Zion Baptist Church in Woodsville, Georgia. When his career led him to the Washington DC area, he became a member of Mt. Olive Baptist Church. When a prolonged illness caused him to move to Hampton, Virginia, he became a part of Word, Will, Way of God Deliverance Ministry. On June 1, 1963, he married Josephine Pollard in a double wedding ceremony with her sister Lavinia. From this union, two children were born, Christopher Eugene and Cynthia Loraine. Though they only had two natural children, their house was always open for anyone who needed that family touch. He was a civic minded individual and served on many community boards and auxiliaries, in leadership positions. His most recent committees were; the Arlington View Civic Association, Columbia Pike Revitalization Organization, Arlington County Form Base Code Committee, Arlington Housing Solution Board, Arlington Community Action Program, and Arlington Transportation Commission. Eugene was also the guiding force behind the Character Club for a diverse group of young men from Hoffman-Boston Elementary School. Eugene was a devout Man of God; he ministered at all times and spoke only when necessary. He was a longtime member of Gideons International, Boy Scouts of America, and the Baptist General Convention of Virginia. His service to the Baptist Training Union, Sunday School, Trustee Board, Deacon Board and many other ministries at Mount Olive and beyond are more than any sheet of paper can hold. Tuesday afternoon, January 22,2019, God reaped the harvest seed we affectionately call Daddy, Grandpa, Pop, Deac, and Gene from labor to the place prepared for him by Jesus Christ. In addition to his parents, he was preceded in death by his beloved wife of 43 years Josephine P. Hubbard; and two brothers: Arthur Lewis Hubbard, and Michael J. Hubbard. Services for Mr. Hubbard will be held 11:00a.m. Tuesday, January 29, 2019 at Mount Olive Baptist Church 1601 13th Road South. Arlington, VA. 22204 by Dr. James E. Victor. Interment with military honors will be held at Quantico National Cemetery Triangle, VA. Viewing for Mr. Hubbard will be held two hours prior to service. It is the desire of the Hubbard family that you keep them in your thoughts and prayers. The family of the late Mr. C. Eugene Hubbard has entrusted his final care to the staff at C.C. Carter Funeral Home, Inc.